Passover is always a time of gratitude on the Jewish calendar. Zman kherutenu, (season of our freedom). Being here on the planet as a viable entity with a strong presence in the Holy Land is certainly something for which we should be grateful. Some passages of the Haggadah are in Aramaic, which Jews know as the language of the Talmud and which Christians know as the language of Jesus. Its adoption by Jews is a legacy of the Babylonian exile. Additionally, the names by which we call the Jewish months are Babylonian in origin. The Babylonian exile was indeed an important influence on Judaism as we now know it. It is fortuitous that the Assyrian New Year of 6760 is being celebrated on the third day of Passover this year. At a time when Jews are reflecting upon our birth as a nation, it is fitting to remember the people with whom our lot was once so closely entwined. 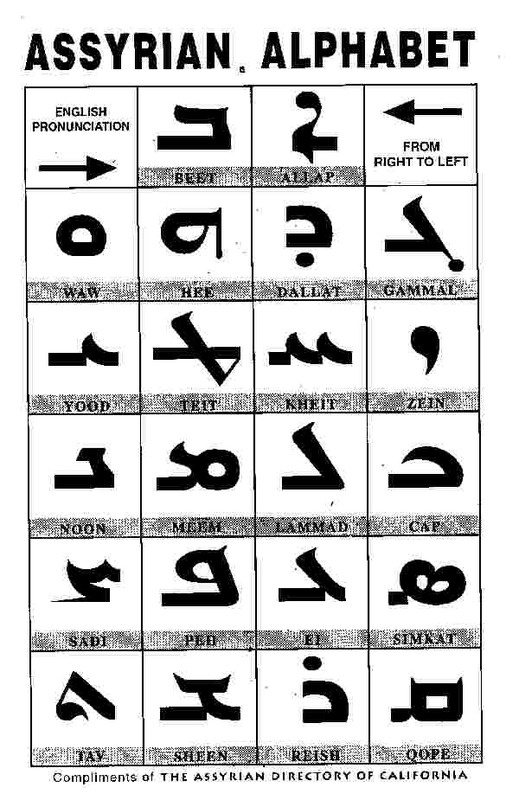 Assyrian and Hebrew are fellow Semitic languages, along of course with Amharic and most famously, Arabic. 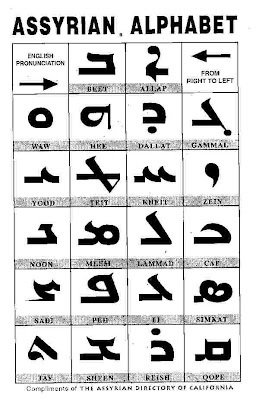 Maltese, which is spoken on the Island of Malta is the only Semitic language written in the Latin alphabet. May it be G-d's will that peace take root among the speakers of the world's Semitic languages. May the Assyrian people , wherever they may be in exile or their traditional homeland enjoy peace and prosperity. I wish Assyrians everywhere a joyous and peaceful Kha b' Nissan. May the new year bring you blessing also and may fortune smile upon both our ancient races both Assyrian and Jewish at home and in diaspora. :) Thank you for this post.